Scientists were not as sophisticated in 1974. They thought that excess Arctic ice causes extreme weather and climate change. Within a single year, adversity had visited almost every nation on the globe. 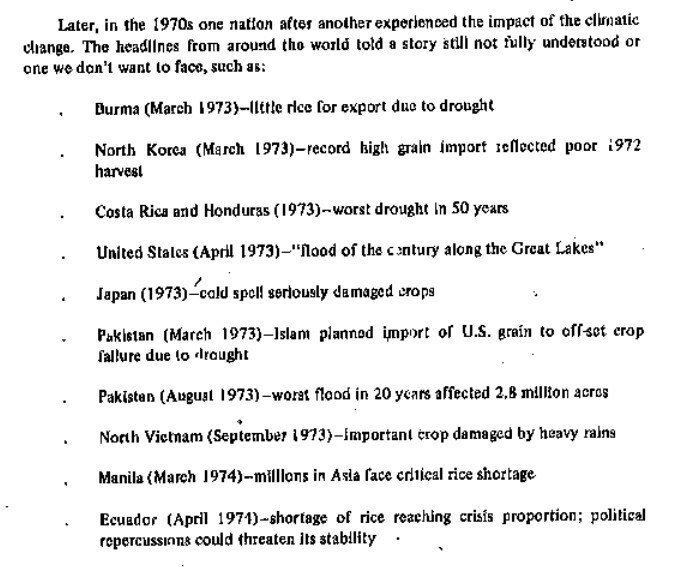 I see the dreaded “drought/flood” was a problem even then. 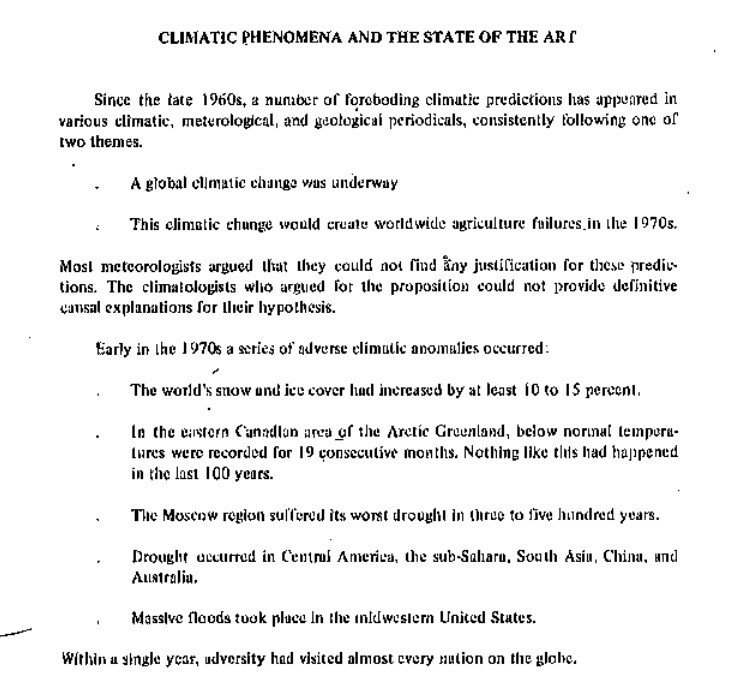 Droughtflood never happened until it was invented by Dr. Hayhoe in 2011!